I recently shared my Sweet Potato Breakfast Bowl recipe over on my Instagram stories and I received so many requests for it, I thought I would throw it into a post to make it easy to grab for everyone! 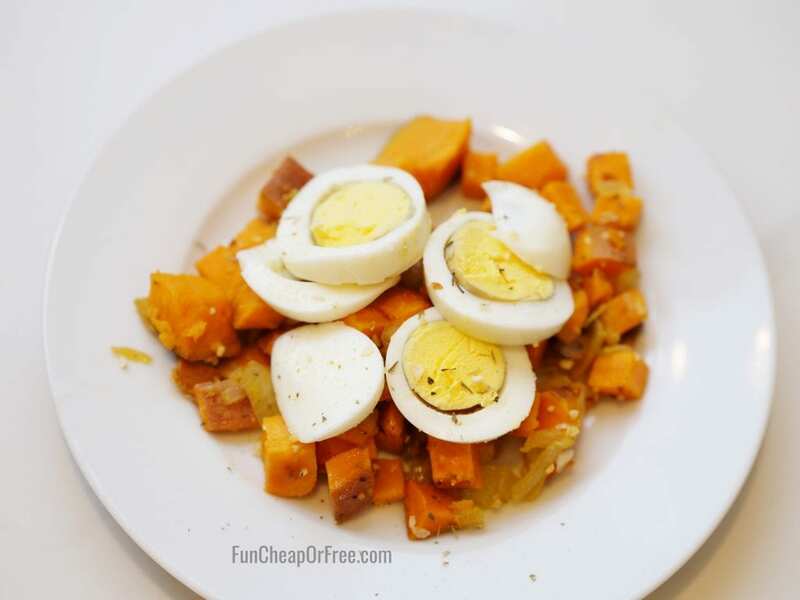 This EASY Sweet Potato Hash and Egg Breakfast bowls are hearty, make the perfect inexpensive meal, and can be made ahead of time to help save you SO MUCH TIME. Did I mention you only need 3-4 ingredients AND it freezes well? Basically, you're meeting your new best friend today. You are going to LOVE these. But while we're here, if you need more make-ahead breakfast ideas we've got them here too! Ok, enough blabbing, let's cut to the chase! Sauté onion in 3T oil on medium high heat with 1T minced garlic for 1-2 minutes, until onion begins to get soft and translucent. 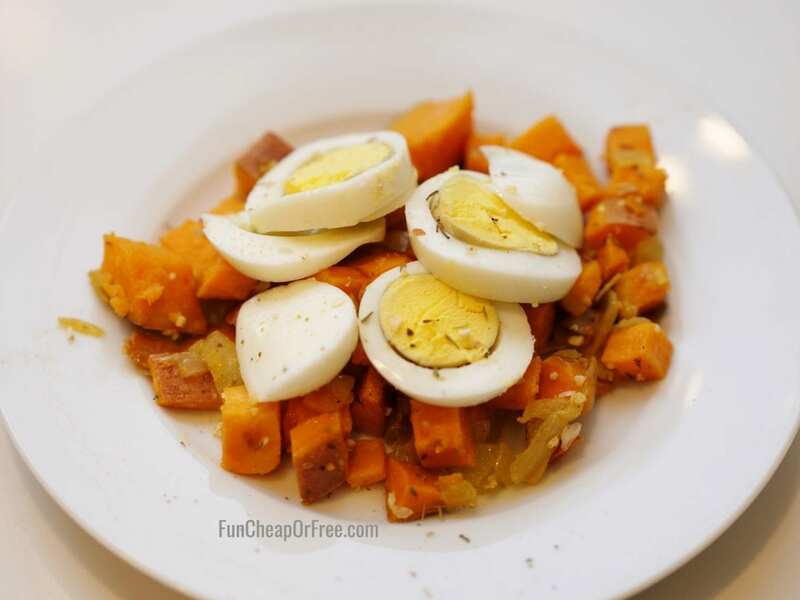 Add sweet potato and cook until potatoes have reached desired softness. Transfer into bowl of choice, top with egg. Note: can freeze potato mixture for later. Just warm in the microwave and top with a fresh egg! 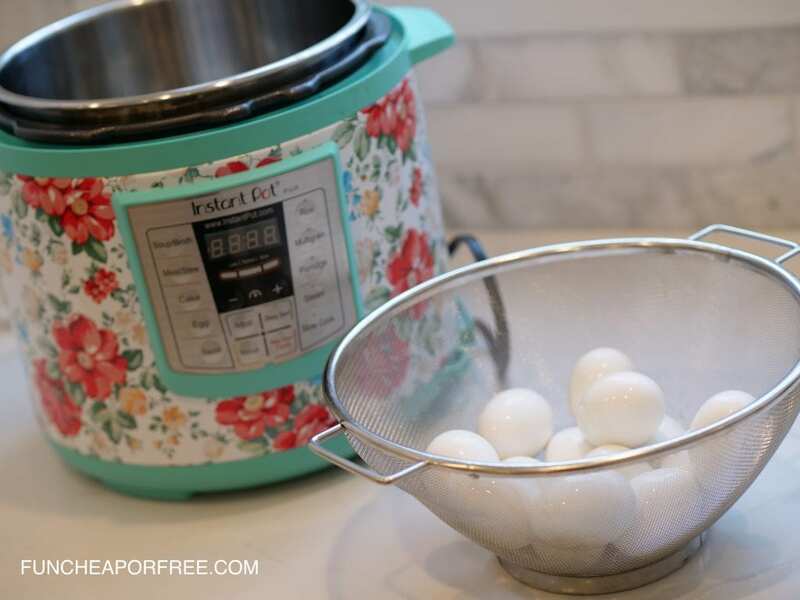 One thing I do each week is make a big batch of hard boiled eggs in the Instant Pot. Just add 1 cup of water to the bottom, put in the metal rack, line the rack with eggs in a single layer (no stacking! ), put on MANUAL for 6 minutes, quick pressure release, then put in a bowl of cold water to stop them from cooking. Voila! Perfect every time! With these bowls, I will make the sweet potato mixture in a big batch, freeze some, and leave the rest in the fridge to eat throughout the week. Easy and delicious Sweet Potato & Egg Breakfast Bowls made with simple ingredients that are packed with nutrition and can be made ahead for busy mornings! These are a total win in our house. Get creative and toss in more of your favorites; mushrooms, peppers, bacon, cheese…the sky is the limit! 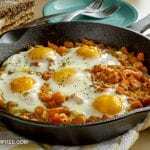 If you are looking for more make-ahead breakfast ideas check them out here. 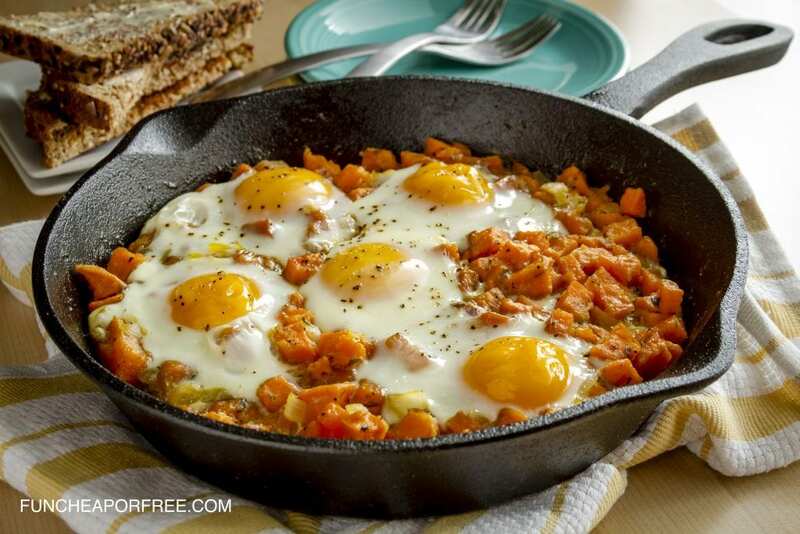 What are your favorite breakfasts for busy mornings? Share them in the comments! Love this for an easy dinner! I add grains to bulk it up, and it makes great leftovers for lunch over salad! Just bought sweet potatoes and I can’t wait to try this!! This sounds amazing! Never thought of doing sweet potatoes for breakfast. Yum. This looks so good. Thanks!